PITTSBURGH—A team of researchers from the University of Pittsburgh and the Electric Power Research Institute (EPRI) collected emissions samples from several power plant stacks in the United States and developed a unique method for detecting the isotopic signatures of nitrogen oxide (NOx) emissions under different configurations. These isotopic signatures will be instrumental in helping to identify emission sources of air pollution across the nation. NOx emissions are formed during the combustion of fossil fuels in, for instance, internal combustion engines or power plants. NOx emissions mix with organic gases in the atmosphere to form ozone and particulate matter, the main components of smog. These emissions eventually settle onto surfaces, and the deposited material, primarily nitrate, carries a measurable isotopic signature. However, until now, scientists were unable to fully interpret these signatures because they lacked the “fingerprints” of various NOx emission sources. Pitt and EPRI researchers developed a method of extracting NOx emission samples from one of these sources—the stacks of coal-fired power plants—and measuring their isotopic composition. Sampling took place at facilities with and without advanced NOx-reducing technologies. Researchers discovered that emissions from power plants employing the advanced NOx controls had different proportions of the 15N atom in the NOx they emitted than the plants without the advanced technologies or NOx emissions from other sources. With this information, scientists will be able to analyze deposition samples and better determine the sources contributing to the deposited NOx products. Pitt’s researchers modified existing EPA methods to collect NOx from power plant stacks. Once collected, Elliott’s lab utilized bacteria to convert nitrate into a gaseous form for isotopic analysis. Prior to the coupling of these techniques, previous analytical approaches were both time- and labor-intensive and precluded widespread characterization of environmental nitrate isotopes. The “Regional Stable Isotope Laboratory for Earth and Environmental Research” study directed by Elliott is now using these methods to examine isoscapes of nitrogen in air, water, and across ecosystems. These results, combined with additional information from other NOx sources, will allow scientists to look at rain samples and determine how much nitrogen comes from power plants stacks as opposed to how much comes from such other sources as motor vehicles, lightning, or soil. J. David Felix, a project team member and doctoral candidate at Pitt, is now working to identify the isotopic composition of other reactive nitrogen emission sources, including those produced in animal feed lots, fertilizer applications, and emissions produced by vehicles. The team is conducting a pilot study with Pitt’s School of Public Health to examine the isotopic composition of nitrogen oxides and determine their sources within the city of Pittsburgh, where exposures relevant to human health may be occurring. Since incorporating low-NOx combustors and emissions control technologies like SCR, power plant emissions have decreased by more than 40 percent since 2005 and nearly 70 percent since 1990. Power plant NOx emissions are expected to continue to decline in future years. The study was published in the March 2012 issue of Environmental Science and Technology. Funding for this study was provided by EPRI and the U.S. Department of Agriculture. A nonsectarian, coeducational, state-related, public research university founded in 1787, the University of Pittsburgh (Pitt) is an internationally renowned center for learning and research in the arts, sciences, humanities, professions, and the health sciences. The University offers approximately 400 programs in 16 undergraduate, graduate, and professional schools and confers 7,800 degrees annually. 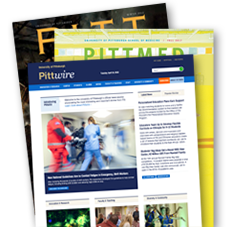 With more than 35,000 students and 12,600 faculty, research associates, and staff on five campuses, Pitt has an annual budget of $1.74 billion. The Electric Power Research Institute, Inc. (EPRI, www.epri.com) conducts research and development relating to the generation, delivery, and use of electricity for the benefit of the public. An independent, nonprofit organization, EPRI brings together its scientists and engineers as well as experts from academia and industry to help address challenges in electricity, including reliability, efficiency, health, safety, and the environment. EPRI’s members represent more than 90 percent of the electricity generated and delivered in the United States, and international participation extends to 40 countries. EPRI’s principal offices and laboratories are located in Palo Alto, Calif.; Charlotte, N.C.; Knoxville, Tenn.; and Lenox, Mass.